What is House Sitting & What do house sitters do in 2019? What Is House Sitting & What Does A House Sitter Do? What should be considered as part of your house sitting expectations? 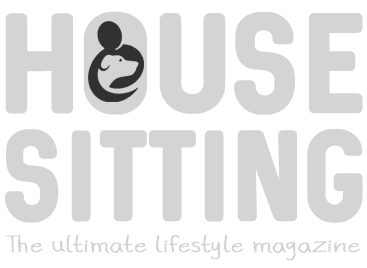 In search of relevant content for House Sitting Magazine, I spend a lot of time reading comments on house sitting forums and social media sites! One topic that arises over and over is about “unrealistic” house sitting expectations from either the house sitter or the home owner. Sadly the result is usually a post about an unhappy experience, for one or other involved – maybe the house sitter duties weren’t clearly defined, or there was a misinterpretation about what the house owner should provide. That’s not to say that house sitting doesn’t produce amazing, positive outcomes 99% of the time. It’s just that when house sits go wrong, it’s more likely to be reported, often as a way to understand how it could be avoided in the future. Most misunderstandings come about because of a mismatch of expectations between the home owner and the house sitter. When a transaction is entered into without payment, the parties involved often find it harder to lay down firm details of the house sitter responsibilities. A contract of trust is something many feel should be built passively. A lack of assertion in regard to house sitting duties, can lead to false impressions about what is expected. The good news is that by defining your expectations in advance, and by communicating before or at the outset of the assignment, you can minimize all but the most unexpected of situations. A written house sitting agreement is even better and doesn’t have to involve a formal legal house sitting contract – just a list of what is expected during and at the end of the house sitting job. Having an awareness of some of the common misunderstandings can highlight those areas that cause most upset, and perhaps allow you to make some small adjustments or compromises to your own requirements in order to secure your perfect sitters, or for sitters, your ideal house sitting assignment. House-sitting is the practice whereby a homeowner entrusts their property, possessions and pets for a period of time to one or more “house sitters”. And… what do house sitters do? Well, by mutual agreement the sitters get to live rent-free in exchange for house sitting responsibilities, such as taking care of the pets, performing general maintenance duties and making sure that everything runs smoothly just as if the owner was at home. Its a trust based “fair” exchange that should result in a win-win-win situation. Happy home owners, satisfied house sitters, and a fur family that benefit from maintaining their normal routines, looked after by people who love pets! What does a homeowner expect from a house sitter? They want to leave their home and pets with people they can really trust and rely on. They want their house sitters to turn up and leave when expected. They want their pets cared for, fed and exercised in much the same way that they themselves would look after their fur families. They want to return to a clean and tidy home, with happy pets and a well tended pool, garden or outside area. They may want a house sit report periodically while they’re away. They might also want to establish a friendly relationship whereby they can call on you for a repeat house sit sometime in the future. What are the expectations of a house sitter? To have been given honest information about the pets, their behavior, health and temperament; the property and location; and the homeowners expectations. To be provided with a bedroom, a bathroom and a comfortable living space (especially on long term house sits), with enough storage space for hanging clothes and storing possessions. To be handed over a home that is clean, tidy and doesn’t constitute a health risk (it happens! ), and to know there aren’t any infestations of fleas or other insects/critters beyond what is considered generally acceptable. If WiFi is a necessity because the house sitter works remotely from home, then they would expect an honest appraisal of internet connectivity, speed and possible downtime issues. If the property is remote, that a vehicle is provided at least for emergencies and food shopping, or alternatively that they have been advised that a rental car is necessary. I hear you saying that this all sounds like simple common sense… and it is! So, why do some house sits go wrong? Well of course, house sitting needs and expectations are pretty personal and subjective. What is unrealistic to one person, may be considered perfectly normal to another. And house sitting without pets can be very different to house sitting with pets. Professional house sitters will usually have a checklist of items they will discuss at the house sit interview and/or at the handover – this really helps clarify those expectations. Adding pets without notification – Whilst it’s admirable to adopt or foster rescue dogs, it is not acceptable to expect a house sitter to unexpectedly deal with additional animals without notification. Leaving unpaid utility bills – Utilities such as gas, electric and water, should all be paid up-to-date, and provision made for settling ongoing bills. The exception may be for long term house sitters where there is an agreement to pay the utilities – typically on sits of longer than 6 months. Soiled bed linen and pillows – Please don’t provide a bed with unclean linen or badly soiled pillows. New pillows are extremely inexpensive these days in most countries and will always be appreciated by house sitters! Similarly a mattress cover is preferable to encountering a badly stained mattress when changing sheets! Not leaving on the specified date – It can be uncomfortable to co-exist in a property for any length of time, especially if this is unexpected. If the house sitters are also digital nomads and work from home, this may impact their income, commitments and deadlines. It becomes difficult to know when house sitting duties commence and can in fact cause minor conflicts as the pets become confused about who is exercising or feeding them. Unreasonable pet care or behaviour – Examples include not being able to EVER leave the pets alone; pets that MUST sleep in the bed; cleaning up after pets that have had no toilet training, and who pee and poop all over the house; undisclosed continual barking or aggressive behaviour. Not everyone will have an issue with this, but you need to find the house sitter that best suits your needs, and that involves finding out before they arrive. Allowing your kids unrestricted access to the house – House sitters are not “baby sitters” and leaving teenage kids behind in the property is unacceptable. For grownup kids, it is not acceptable that they unexpectedly drop by to sleep over while you have house sitters. If it’s agreed beforehand then fine, but avoid surprises! Asking for a deposit when the house sitters arrive – This must always be disclosed at the outset as many sitters will choose to decline the assignment if a deposit is requested. Let’s talk about subjective, unrealistic house sitting situations. These are things that are perhaps acceptable to some people, but unacceptable to others. However, they wouldn’t necessarily be deemed unacceptable at all IF they had been discussed at the interview stage. Security cameras and surveillance Equipment – While it is usually acceptable for external security cameras, it is not generally considered OK for internal cameras that film house sitters throughout the house sit. This goes against the trust that is the basis of a house sitting arrangement. It is especially unrealistic (and possibly illegal in some countries) to film secretly. Some sitters don’t worry about cameras, others will, but it’s fair to disclose cameras in initial conversations or even in your profile. TrustedHouseSitters state in their terms that you must “notify the sitter of the use and location of any CCTV or monitoring equipment prior to commencement of a sit (failure to do so will result in suspension of your membership).” We would add that this should be disclosed asap and not left until the handover, which is technically before the sit commences! Now that security equipment is much more affordable, it’s important that as a house sitter you ask about this as early as possible in the discussions, so that there are no surprises. A vegan or eco-friendly, green property – In this situation there may be special considerations that need to be adhered to, such as no meat products in the kitchen, use of only eco-friendly toiletries, and possibly the use of only a composting toilet. Fine if discussed and accepted by the house sitters, but a shock if they arrive and are not prepared. A remote or off-grid property – If not experienced in remote house sitting or off-grid living, this may be a difficult first assignment for some house sitters. It’s important they are informed about all aspects, including any special daily maintenance that may be needed. You may also need to give specific instructions for solar systems, rain water collection and management, and other remote living challenges. Lodgers – If you have a lodger, boarder, or elderly relative living in the property or an adjoining house, it is courteous to discuss this with the house sitters in advance. It’s up to them whether to accept in this situation. Building work with unacceptable noise – Don’t knowingly move out of the home to go on vacation because of building work in your house, on adjoining land, or in a neighbour’s home. This will be especially distressing for the house sitter if it impacts on their ability to work from the home. Emptying the pool – If the property is listed as having a pool, don’t empty it prior to the house sitters arrival, just to save on pool cleaning and maintenance costs. Let them know you plan to do this in advance and perhaps give them the opportunity to maintain the pool or pay to have it maintained. Paid staff – Don’t retain the services of a house keeper, gardener or other staff and expect the house sitter to personally pay their wages without prior discussion. Similarly, don’t provide staff but not inform the house sitters until they arrive. While many will welcome the help, some people are extremely uncomfortable having staff in the house, and dealing with their pay, especially when it involves a different language. Unpaid care of a B&B, AirBnB, hotel or rental business – Looking after a business with no payment is a no-no for many house sitters, who are very clear that this is a job, not a house sit. Others may welcome the chance to gain experience in a business environment. Full disclosure should always be made, and any arrangements to split the income, pay a stipend, or salary, should be clearly discussed and agreed (I would suggest in writing) well before the assignment begins. Cancelling a sit after house sitters have committed to an expensive international flight – This is a tricky situation, as we can’t always prepare for unexpected emergencies, accidents, family deaths etc. But likewise, your house sitters may have incurred a hefty charge for airfares. As a gesture you could pay for alternative accommodation, help them find another house sitting option, or put them up while they organize their alternative accommodation. If it’s within your means, then paying for a flight cancellation would be very much appreciated. Free accommodation – Thinking that house sitting is only a way of getting free rent for an extended period of time. Taking an assignment with pets when you have no intention of looking after them as the home owner has advised. Cleanliness – Don’t assume it’s not your job to clean, tidy the home and garden, or wash the bed linen throughout and at the end of the assignment. You aren’t staying in a hotel – it’s somebody’s treasured home. If leaving the same day, remove the bed linen ready for laundering. Rearranging homeowner cupboards and drawers – However untidy you think they are, leave well alone. Similarly, don’t move furniture unless you plan to replace it when you leave. Take photos so that you can put it back in exactly the right position. Turning the swimming pool green! – Don’t allow this to happen just because you didn’t have the appropriate skills to maintain a pool, or you neglected to regularly do what was required to keep the chemical levels balanced. For more on pool skills check out the previous article “House sitting skills – Basic swimming pool maintenance“. Unattended pets – Don’t think it’s OK to leave the pets unattended for long periods while you go sightseeing. Remember house sitting comes with responsibilities. Discuss how long the pets can be left when you work through your handover. Uninvited guests – It’s generally NOT OK to have friends or family visit or stay, without prior permission from the owners. Many owners will say no – this is quite normal. But, you can always meetup at a local restaurant or hotel. Overnight stays away – It’s wrong to expect that you can leave pets with some extra dried food, while you pop off on an overnight excursion. However, if your pets are cats, you may be lucky enough to have the homeowner confirm that an overnight stay is fine. Cats are generally more independent than dogs! Overuse or inappropriate use of cars, boats or other vehicles – Always agree the terms for use and also any maintenance required during your stay. We were once left mountain bikes, but were asked to have them serviced before leaving, if used extensively. Some homeowners have restricted our car use – no more than 50 miles a day for instance. Restocking food – Don’t assume you can eat any of the food left in the freezer, pantry or refrigerator without replacing, like for like. This is one of the most common areas of misunderstanding. Many homeowners will specify that it’s OK to eat perishable items in the fridge. But, they may have food items that they’ve bought from home that are especially difficult to import or replace, and so get very upset (rightly so) if these are eaten without permission. If you are lucky, they may leave you something special like a bottle of wine, or some nice cheese! Changing the pets diet to make things easier for yourself, or feeding “human” food when you’ve been specifically requested not to – This can cause discomfort for the pets and unwanted sickness or diarrhea – neither of which are pleasant to clean up. Pet sitting is about maintaining routines, not introducing new ones that cause disruption. Mistreating pets in any way – This is so obvious, and I have rarely heard of any cases of house sitters mistreating dogs. But for example, I recently heard of a house sitter who left dogs outside the house at night, when they were considered indoor dogs. For the homeowner this was, in her mind, a case of abuse. Your own pets – Don’t ever take your own pets to a house sit without first discussing with the home owner. This could cause all sorts of problems. Off limits – Often rooms or equipment will be designated as “off-limits” by the home owner. They may lock the room or just request that you don’t use it. Be respectful in this situation. Breaking items and not replacing them – Even worse is to hide a broken item and hope that the home owners won’t notice! Own up to breakages – accidents happen. Especially on a long term assignment where the occasional broken glass is to be expected. If you see glassware or crockery that you think might be expensive or difficult to replace, avoid using it. Arriving late or leaving early – Arriving late should be avoided at all costs. We always plan to arrive a day early, especially when multiple international flights are involved, and where delays are likely. If you can’t avoid a late arrival, keep your homeowners informed and arrange an alternative handover. If an emergency situation means that you have no choice but to leave early, try to find a suitable replacement and do a handover if possible. Involve reliable neighbours or emergency contacts to help you. Last minute cancellation – As we have mentioned, emergency situations sometimes result in an unavoidable cancellation. But, cancelling just because you find a better option, or have a change of mind is really unacceptable and bad practice. In this case, you might consider financially recompensing the home owner for any inconvenience or costs they have to incur. We can’t stress enough how important it is to always take house sitting commitments seriously. Consider the financial implications and the mental distress of your actions. All of these situations can be avoided if you enter into a house sitting agreement with integrity, and you are honest with each other about what you expect. However crazy you think your expectations are, the chances are there will be someone out there who thinks just like you, and who is happy to fulfill your requirements. For instance, while one person may categorically say they don’t sleep with pets in the bed, many are happy to accommodate this. With the exception of the few “genuinely” unrealistic expectations (see above), most are simply a case of finding like-minded people who manage their pets and homes in the same way that you do. That’s why the best house sitting websites often talk of “match-making” when bringing homeowners and sitters together. It’s only when you aren’t honest and don’t communicate your expectations clearly (and this is as much for home owners as house sitters), that misunderstandings occur. Sometimes of course home owners and house sitters exceed house sitting expectations. We consistently hear of house sitters who leave houses cleaner and tidier than when they arrived. Who cook amazing return meals for the home owners, and who exceed all expectations in pet care. We are hearing more often too about appreciative home owners, who leave welcome packages of food, take house sitters for amazing meals, or leave gifts and tips at the end of the house sit. Is house sitting right for me? We’d like to hear your thoughts on this subject. Send us feedback here with your experience of unrealistic house sitting situations or when you’ve had a situation where expectations have been exceeded! Great article Vanessa, as a house sitter I can relate to many of the topics. For us its the love of animals that makes house sitting such a joy. Hi, I love this article. I have been housesitting for a few years now as a paid petsitter and am in the more OCD end of caring for pets and homes! I leave things cleaner than I found them, replace and leave snacks, do laundry if there’s a washing machine, and help to organize clutter. Having said this, I have clients who leave their houses in utter chaos…full compost bins, full trash and recycling bins, old sheets/pillow cases, and in some cases, soiled pee pads and full litter boxes. I rarely, if ever, receive tips, although I have great reviews and have received wonderful compliments and thank you’s…but I’m wondering if I should charge a reverse cleaning fee! I couldn’t do anything in this kitchen so I spent 2 hours cleaning before I could even put a cutting board down. Again, I don’t receive tips and there is never a forewarning about messes. How does one handle that? Thanks! Hi, thanks for the reply. Unfortunately I work by word of mouth and don’t have access to photos beforehand. I’ve worked for this client before and they’re house was not as bad. I think maggots and pee would be an unhappy level for anyone. I did end up charging a cleaning fee as I didn’t want to be blamed for any mess! This is a really useful and thorough breakdown of expectations on both sides. As a person who owns a home now, I’m a bit worried about turning our place over but would have faith that the housesitter would be coming in with the best intentions. 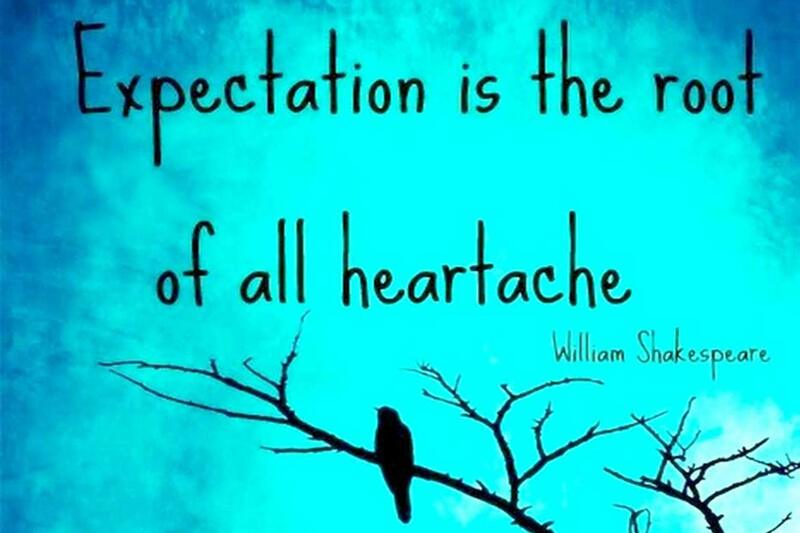 Setting expectations, like you mention, is a very good way to avoid any misunderstandings. I’ll definitely come back to this when we make the jump and need our place to be watched by more than our family. Thanks for sharing! Hello , we have hosted 15 housesitters since 2004 , we provide a two bedroom little renovated house with porch, wireless ,cable , air condition and wood burning stove plus a storage room. No costs .We have had a Buddhist lady who made a temple in our house , refused to kill mice or put anti flea collars on dogs and saved a horse from the butcher sending us the bill of 600 euros, we had a couple who did not say they were very pregnant which became evident on arrival who informed us the baby ( her first) would be born with a midwife in the house . A tough New Zealander woman who became frightening and dominating . We have lost two dogs and one became blind from housesitters neglect . now we have a French couple who took a part time job in a restaurant , we lent them our mazda van , our old faithful , lasted three months . As they kept working we lent them our two seater but bought a second hand car as we were left with no car. The job became very full time so they leave at 08:30 and back at midnight with one free day a week. We feel we have a problem. I have so many stories to share , mostly comical in retrospect . They would inspire you for months ! So happy I found your site, thank you. Oh dear Tina – it sounds like you’ve had some characters looking after your property. I hear of the occasional problem but no-one who has had such a run of bad luck. Hopefully some of the 15 have been good professional house sitters – I’m wondering where you got them? Hope your luck changes soon. I am so sorry you have had such awful experiences with some house sitters. They are not the norm by any means! Go by references and ask to talk to some of them to get the real picture of future house sitters. Many of us are asked back on repeat sits time after time for a reason! Wishing you all the best for future sits! Thanks for the great article. We are currently full-time house sitters in the Asia Pacific region, and accidentally discovered security cameras at the exterior front and rear entrances of the house sit soon after moving in. I’m not a big fan of cameras, whether these are inside or out (and definitely not inside!). We were not informed of the cameras prior to moving in. We have police clearances, great references and would never commit any wrongdoing, so for any criminal reason, I don’t have a problem with cameras. But I find untold hidden or more visible cameras on private properties creepy as a female and a person (and so does my male partner). Many people in life have had experiences of unwanted attention, a creepy neighbour etc… Having a security camera pointed at you every time you or your partner leaves the house – including doing outside chores, gardening, getting some sunlight in winter, or going from and returning to the property – can take the enjoyment out of activities and be pretty stressful. I find it concerning and very unethical that we weren’t told about the cameras. Hi Jules and thanks for the feedback. I think the general concensus among house sitters is that we should always be told in advance if there are cameras at the property. I’m not so worried about outside perimeter cameras (unless pointed at relaxation areas), especially in some countries, but inside would be a no-no for us. I think it’s a question to add to the initial interview as I wonder if some are so used to them they don’t think to mention. Hidden cameras extremely unethical (and possibly illegal?). House Sitting is built on trust and this would seem to go against that principle. I will ask this question in the Facebook group as it could maybe warrant an article all of it’s own. Thanks for bringing it up in more detail.